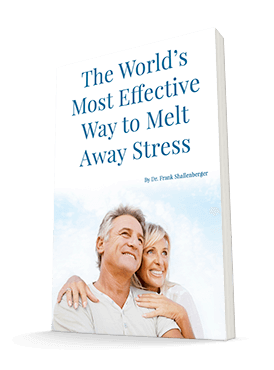 If you have stubborn hypertension, you might be interested in a simple and inexpensive treatment. It's a single amino acid. As you may know, amino acids are the building blocks of proteins. But many amino acids serve as raw materials for key molecules. For example, tryptophan and phenylalanine serve as raw materials for neurotransmitters. A deficiency in either of these can lead to mood disorders. The amino acid arginine provides the raw material for a short-lived molecule that is absolutely critical for normal vascular function. That molecule is nitric oxide (NO). I've written about NO in the past, but let me tell you a little more about it. There's an enzyme in the inner lining of your arteries that makes NO. Your body produces NO to dilate your small arteries. This is important for your arterial function. Doctors measure arterial function by its elasticity. That means flexibility. You want your arteries to be pliable. Hardened arteries lead to the need for greater pressure to move blood. A recent study evaluated patients for a number of risk factors, including lipids, glucose, insulin, and arterial elasticity. Arginine also provides the nitrogen source for nitric oxide. 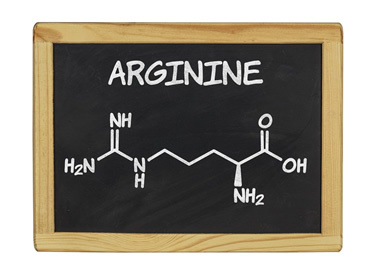 A lack of readily available arginine can impair your ability to make NO. The amino acid citrulline is another source of NO. Of course, dietary sources are always my first choice. Arginine is found in nuts (walnuts, hazelnuts, pecans, Brazil nuts, almonds, cashews, soy, and peanuts), sunflower and sesame seeds, raisins, coconut, dairy, meat, garlic, and some grains (oats, brown rice, buckwheat, barley). I am rather liberal with arginine supplements. I often recommend 500-1,000 mg up to three times per day for high blood pressure and vascular disease. There's one caveat. Arginine can trigger herpes (all kinds). So, if you do have a problem with herpes outbreaks, stop arginine and start taking lysine (1,000 mg three times daily). This will help neutralize the assistance arginine gives the virus to grow. Another caveat is that arginine won't work for everyone. In fact, many patients over the age of 40 find that it has no impact on their blood pressure. If you are in this group, your body may not be able to convert the arginine into NO. In these cases, you'll want to take a supplement like CircO2, which converts to NO much faster and easier than arginine. Arginine is cheap and readily available online and in health food stores. Journal of Cardiovascular Pharmacology, June 7, 2010.